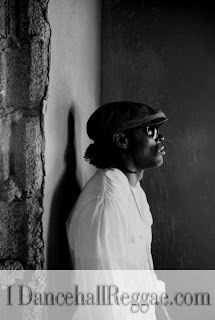 iDancehallReggae.com::Caribbean Lifestyle Media::: Bugle: Focused for 2010! Caribbean Lifestyle Media-In recent times, Bugle has been busy doing various tours across North America, United Kingdom, Belize, and Bermuda. The Daseca artiste has remained positive and above all the barrage of insults we saw being exchanged in 2009 in Dancehall. In 2009, Bugle brought his vision to life with the help of Julia Braham of 1456 Production and Jay Will's Films to bring his last project "Pearly Gates" to your screens. “I like working with Julia and Jay Will because of the creativity that they bring to the table”, commented Bugle, he went on to say that “some of our directors are becoming monotonous”. AIM, Inc (PR Rep) told us-2010 may see Bugle releasing an album, with exclusive tracks that have already been recorded and never released. With his lyrical prowess and production from some of the industry’s finest this album will definitely be a collector’s item. Fans will have to wait until mid-year though after Bugle executes an extensive tour of Europe, a market he plans to take his music to a lot this year.